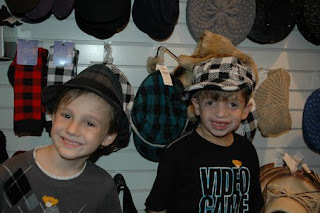 After reading my friend Brittani's blog last week I saw that she took her kids for an ABC mall scavenger hunt. 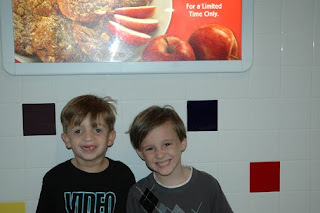 I loved the idea and had to take Andon and my nephew Cody. I went online for ideas but really couldn't find anything so I made my own list of things from an Apple to Pizza to an X-Large shirt. It was so fun running around looking for each letter and sounding them out together. Here are some of the fun pictures I took of the boys. This is them standing under an apple. I didn't know how easy it was going to be to find an apple in the mall but as soon as we got there we saw this in the food court. 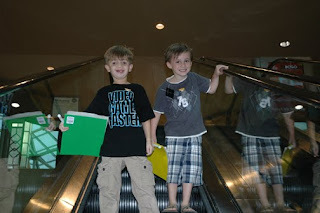 Here they are on the Escalator. Looking so cute in these Hats. 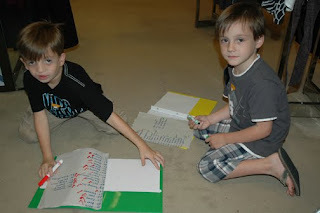 And here are the boys going over their lists to make sure they both got everything. How precious!!! 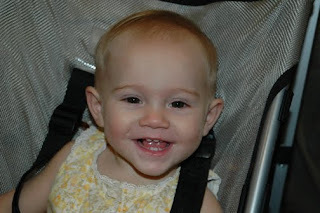 Love how fun and creative you are. . just like Britt!